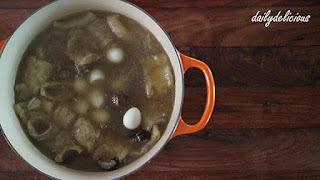 Chinese New Year is coming and many people's busy preparing all the food and sweet. For me, Chinese New Year means delicious Chinese food ^^. I love Chinese food, well, because my grand ma came from China, and I grown up eating all the food that she cooked for me. 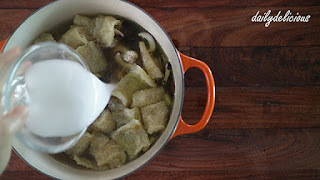 Even when she passed away, I still miss the warmness of the food from my childhood day, esp. soup. 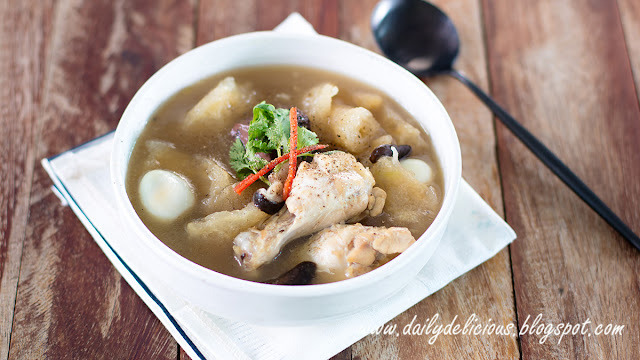 Chinese soup that thickened with corn flour is my favourite, and today I will share with you an easy recipe that you can make at home: Fish Maw Soup. If you don't want to make the chicken stock by yourself, you can use chicken bouillon, it makes your life easier. 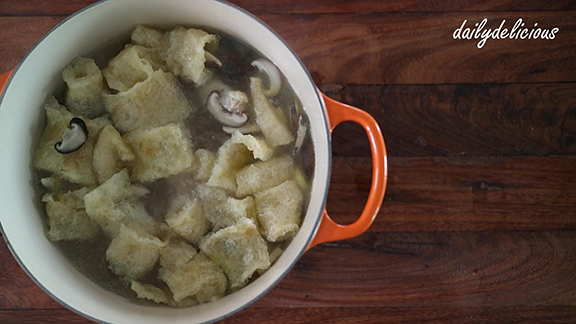 Don't forget to soak the fish maw in a water before using, and use the best one that you can buy because it's the most important ingredient of this soup. 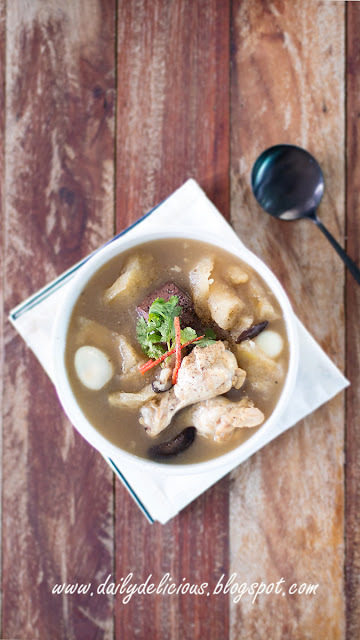 Serve this soup with freshly ground pepper and let it warm your heart and soul ^^. 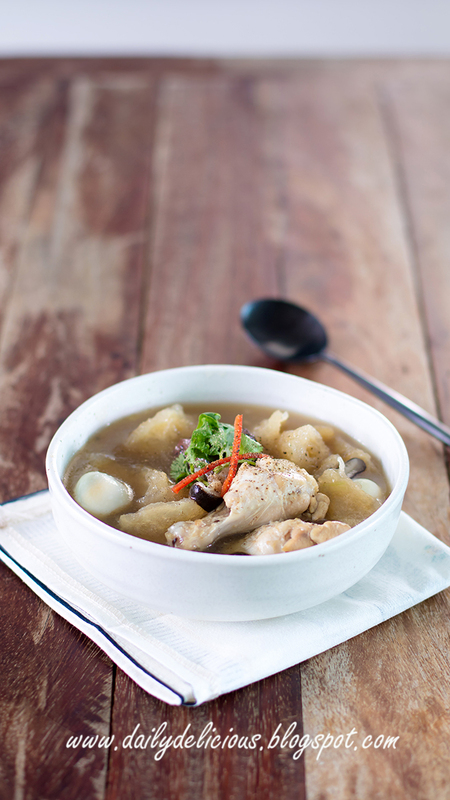 *If using chicken stock, skip chicken bouillon. Pour the water (or stock) into a large pot, and place it over medium heat. Put the garlics, and coriander roots into the pot and bring to boil. 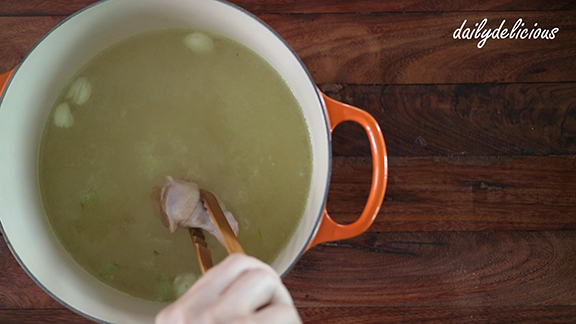 When the water become boil, put the chicken bouillon into the pot. Put drumettes into the pot. 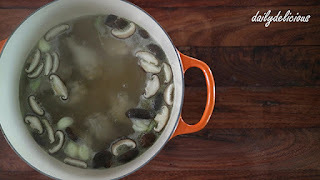 Pour the shiitake into the pot, and let it boil for 5 minutes. Put the fish maw into the pot, pour all the seasoning into the pot and let it boil for 10 minutes. Mix 100ml of water with the corn starch. 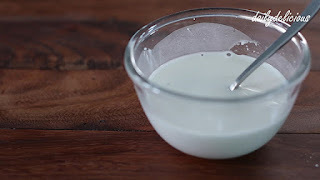 Pour into the pot, and stir to combine, let the mixture become boil. Put the boiled pork blood cubes and boiled quail eggs into the pot and let it boil for 1-2 minutes.